Exclusive: President Trump may see his tough-guy rhetoric as just part of the reality TV show that he’s putting on, but violent talk often goes hand-in-hand with real-life violence as in the Philippines, notes Jonathan Marshall. 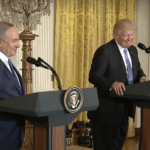 The U.S. government – and now President Trump – have a long record of palling around with oppressors, such as the leaders of Israel and Egypt, creating more “bad karma” for the nation, observes Lawrence Davidson. 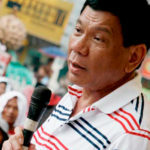 Exclusive: Filipino President Duterte oversaw a brutal anti-drug campaign but is now seeking peace with leftist revolutionaries and rejecting U.S. pressure for more counterinsurgency warfare, writes Marjorie Cohn.